Shipping the first week of April for US$400 is a new heads-up display called the Garmin Nautix. 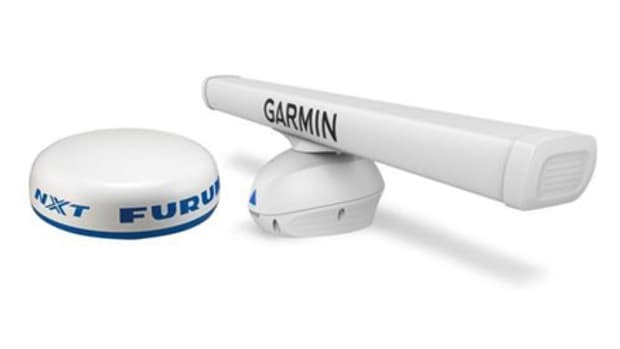 A 1.1 oz "hands-free in-view display," Nautix attaches to your sunglasses and shows NMEA 2000 data transmitted from certain Garmin multifunction displays (GPSMAP 7400/7600, 8400/8600 series) that support the company&apos;s ANT wireless technology. 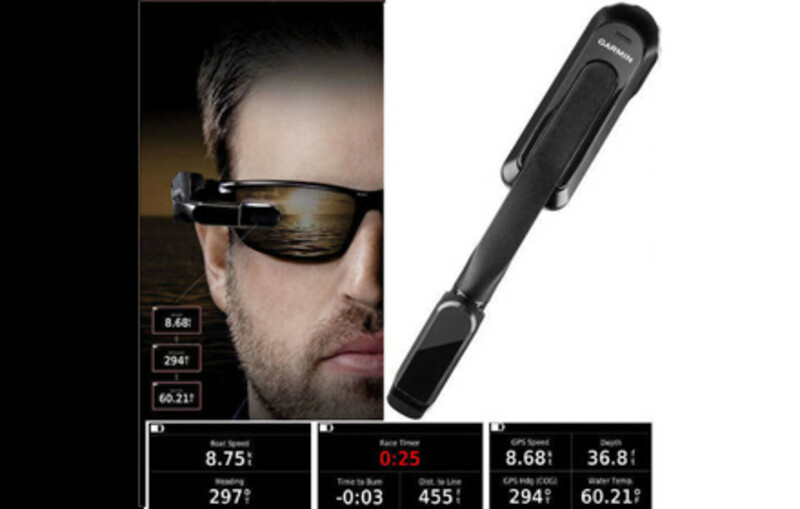 Suitable for polarized or prescription lenses it includes an ambient light sensor to automatically adjust brightness. 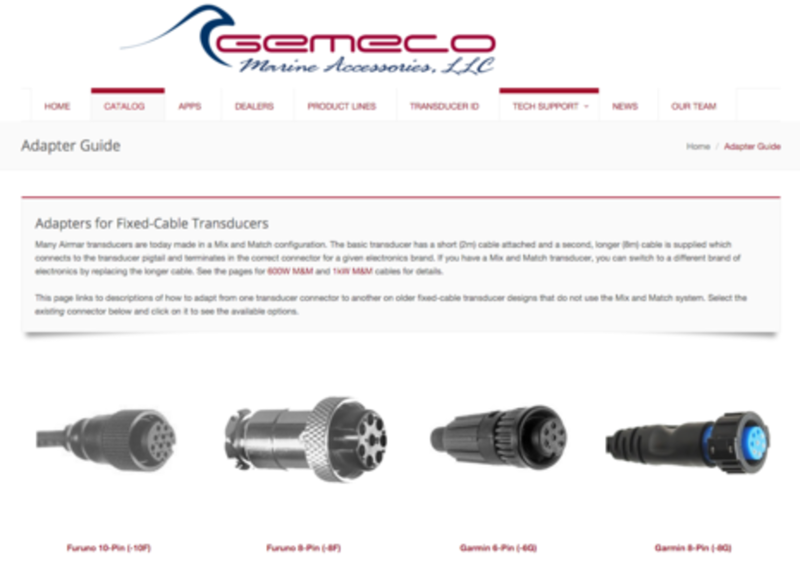 A look at the product page shows that it also includes an accelerometer which may (or may not) have to do with detecting which side of the head it is attached to. Nautix is a sibling product to the Garmin Varia Vision HUD for cycling, which was comprehensively reviewed at DC Rainmaker in January. In other Garmin news a "massive" software update was released last week for echoMap and GPSMAP series displays with purported improvements to radar range scaling and also a new split screen dual range view with chart overlay capability. 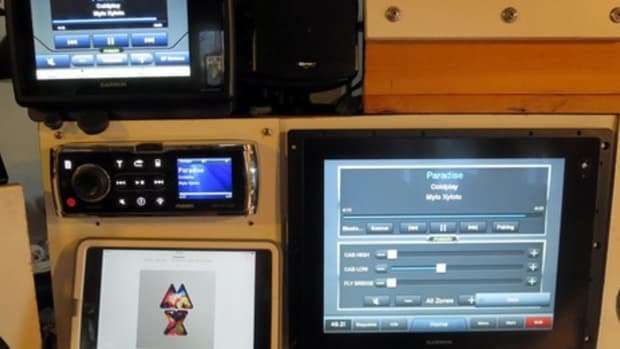 Other updates relate to Panoptix, autopilot commissioning and enhanced charting contours, shading and boundaries. Also, you can now try the Quickdraw Contours DIY mapping feature announced in November, and please let Panbo know how it works out. 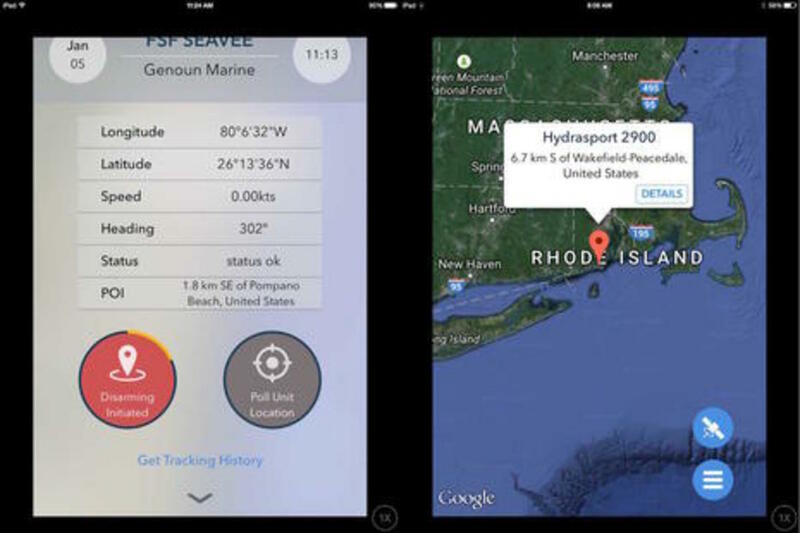 Global Ocean Security Technologies (GOST) has a new GOST Tracker app available for tablets and phones in both iOS and Android versions. 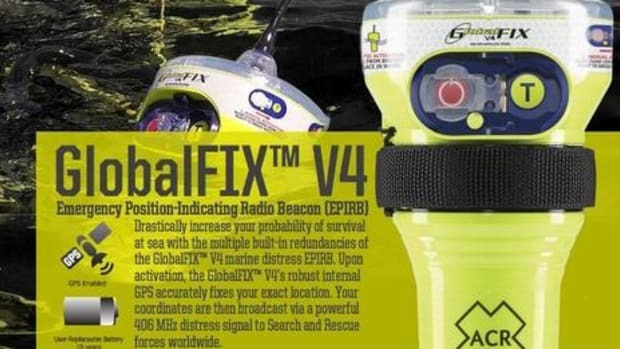 Nav-Tracker web users with active accounts can use a unified login to locate their vessels. The app is pretty basic but includes the ability to arm/disarm a vessel, locate and track it, and view speed and heading. 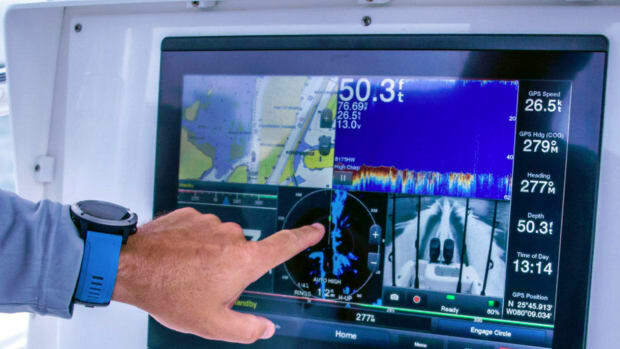 Nav-Tracker is Inmarsat-based hardware suitable for the offshore management of vessels, a particularly powerful tool for worldwide fleet management. 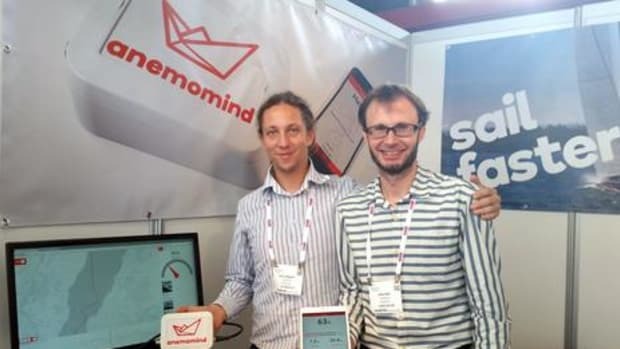 On the subject of apps, the free Navico GoFree Hooked app prematurely discussed here last summer is now for real, in both iOS and Android versions. 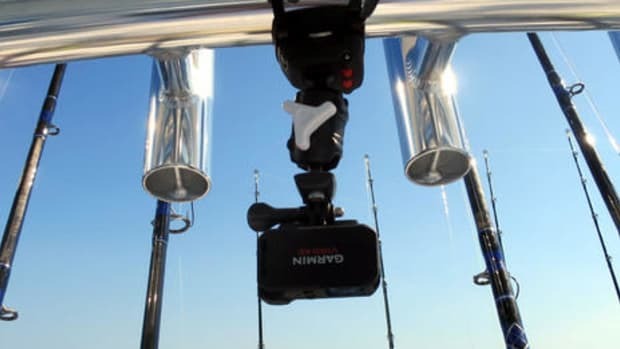 Hooked lets you photograph and log catches for yourself, to share, or even to compete with friends and other users. Essentially you can be in a virtual fishing derby every time you go out. 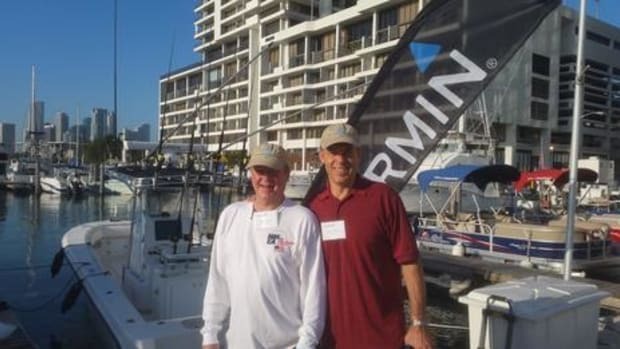 The app also captures your track, and you don&apos;t need Simrad or Lowrance electronics to do so because it uses your phone&apos;s built-in GPS. Judging by the app reviews user&apos;s of the Android app seem to be having less success with GPS accuracy than with the IOS App, but it is early days yet. Optionally you can use your Hooked data points to create a private map layer on your Insight Genesis maps. Document your fish stories! 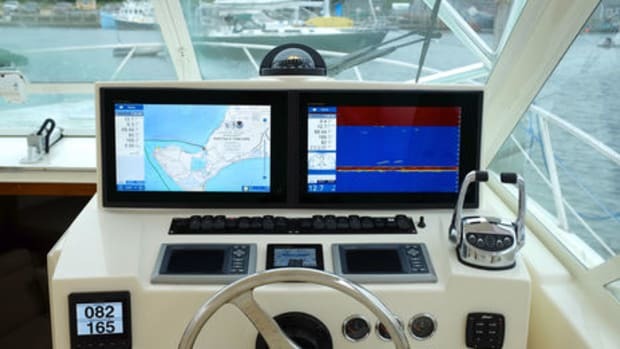 NavNet TZtouch and TZtouch 2 multifunction display users now have a new remote control option (press release PDF). The MCU004 standalone keypad can work with multiple installed Furuno displays via a press of the active display button. 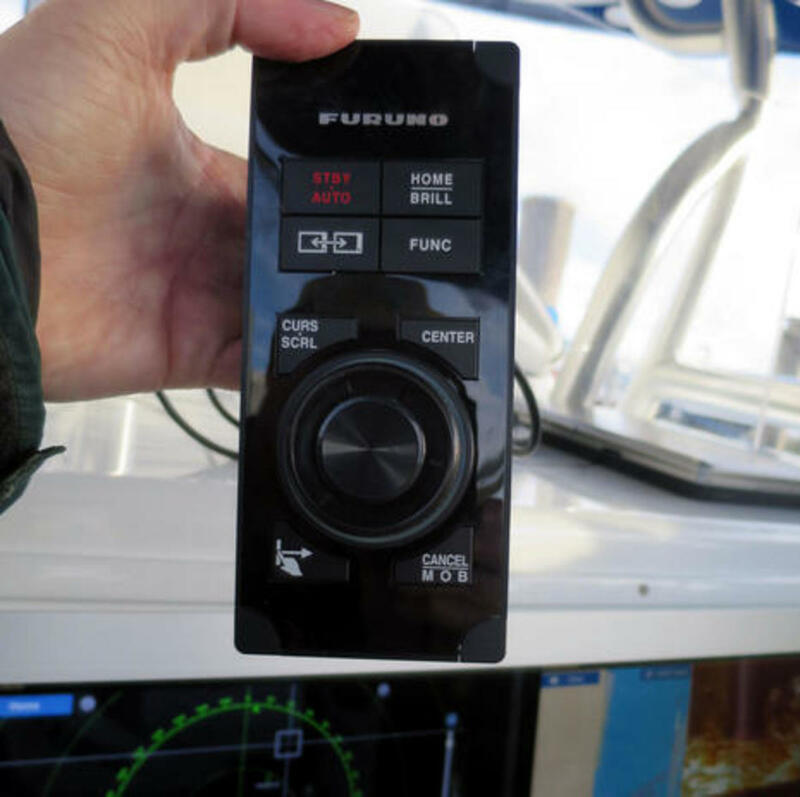 Compared with its sibling MCU002, this remote boasts an improved joystick and a rotary knob (which replaces two of the MCU002&apos;s buttons), but is also a bit bigger so you will need more installation space. Pricing is unknown at the moment, but in the world of wonderful multi-touch all glass displays, the more keypad options the better!